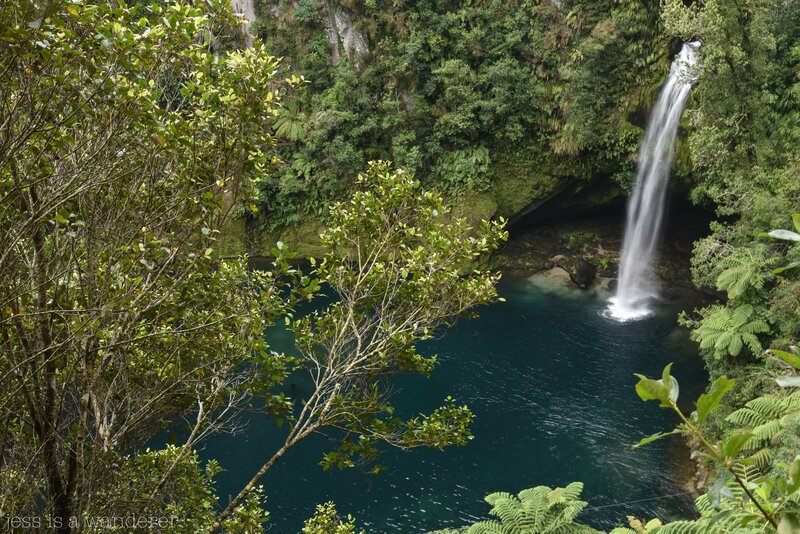 Jess is a Wanderer defied all warnings and climbed over fences in order to access perilous Omanawa Falls. 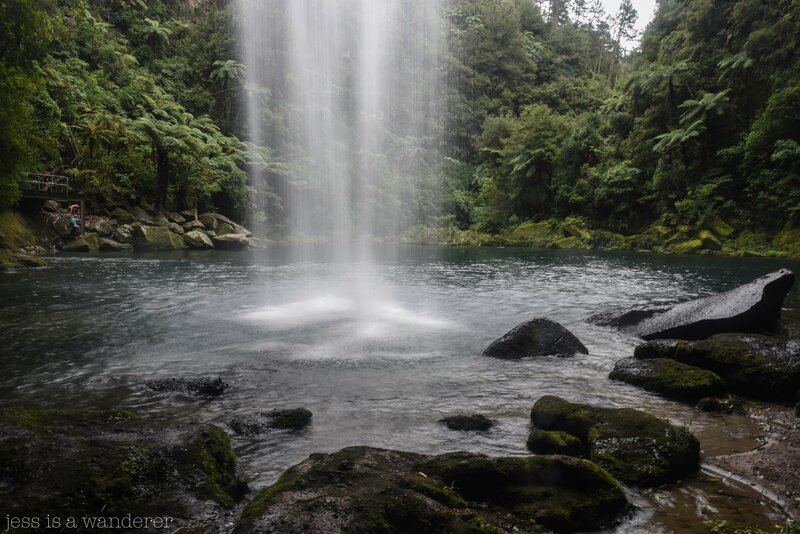 Omanawa Falls are found outside Tauranga. Located before the turn-off for McLaren Falls, you’ll see the other curious trampers parked up in their cars and make-shift camper-vans dotted on the side of the road. Perhaps you’ll speak to some fellow travellers and ask of their success or failure in getting down behind the falls. We met some chaps who had decided not to venture down due to the slippery conditions, nonetheless, this didn’t deter us. Once at the viewpoint for the falls, there are two options for getting down. 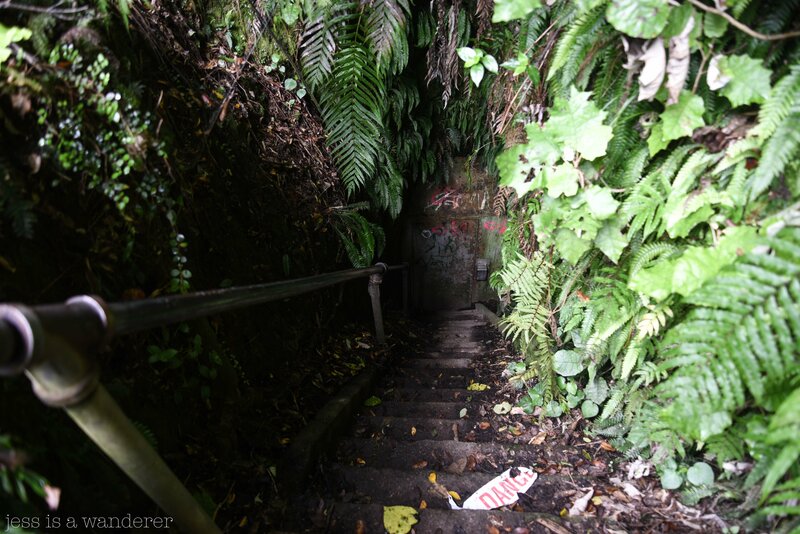 The first is to venture down these slippery steps through this door which leads into a pitch black tunnel with water racing past on both sides. The entire descent is done in darkness. The day we visited, this door was locked so we had to take the more adventurous route. 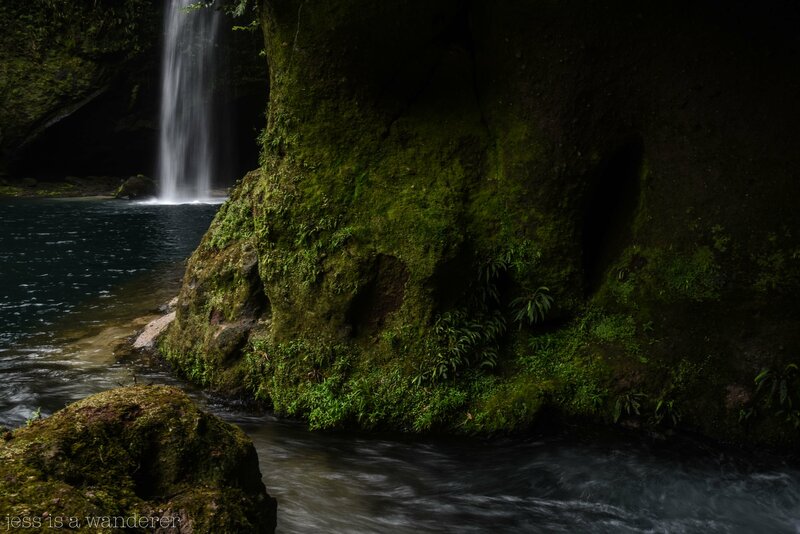 Sliding down slippery mud-banks, climbing down tree roots and rickety old ladders, we hiked the 2km journey and finally arrived at the bottom of this highly-revered waterfall. Spectacular doesn’t cover it. To get behind the water, we had to do a bit of waist-deep wading through the freezing water but it was all fine in the end. I have to say that there were parts of the hike that did feel unsafe and that the warnings in place are absolutely justified as it certainly isn’t an easy feat. Someone had become very seriously injured just days before our visit and that added a sense of unease but it was certainly worth the adventure. Also, we were part of a group of around twelve people so we figured that we’d have enough people around to suggest turning back if it was decided to be too dangerous.